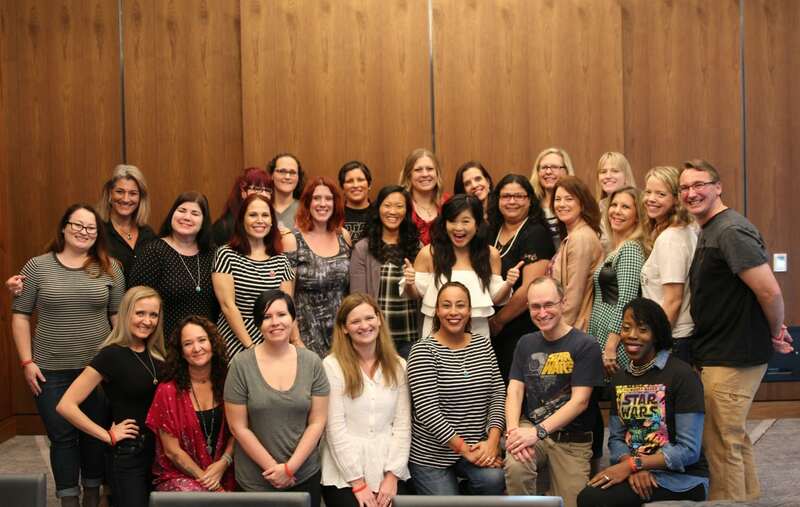 I had the opportunity to interview Kelly Marie Tran while on a sponsored trip for #TheLastJediEvent on the behalf of Disney. While this post is partnered, all opinions are mine. When The Force Awakens arrived on the Star Wars scene, I was blown away by the amount of fresh talent there was in the film. Star Wars has a knack for casting young up and comers in their films. 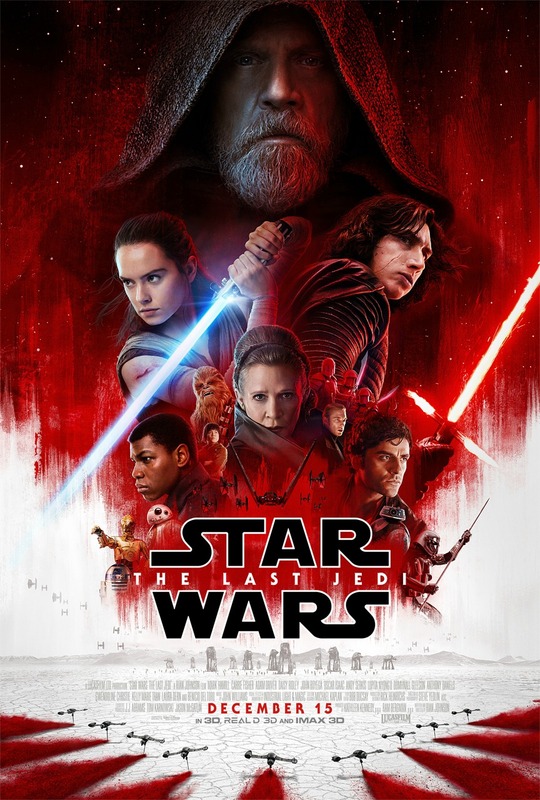 The Last Jedi, in theaters now, is no exception. 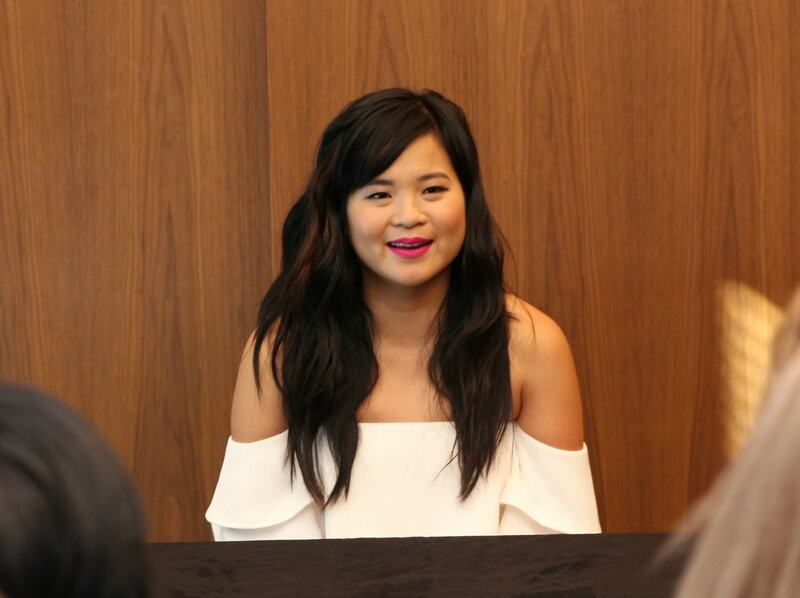 Earlier this month I had the opportunity to sit down with Kelly Marie Tran who plays the mechanic Rose Tico. To say that Kelly is a newcomer is not a stretch before The Last Jedi she had just a few roles in some short films and a few television appearances under her belt. The Last Jedi is her first feature film. She had her first audition in 2015 for the role of Rose. She had been pursuing acting for 7 years and this was only one of the two or three movie auditions she was ever allowed to go to. Never in her wildest dreams did she think she would get the part. It was, like, there’s no way in hell I’m gonna get this. I’m just gonna have fun with the people who are here. I want to have fun with John (Boyega) at this test. I want to have fun with Rian (Johnson). In taking his direction. And, I think that served me in the end. She was still working her day job when she found out that she got the role of Rose. I was working at an office. I was an assistant. I got this email from my agent, or a call from my agent saying that Rian wanted to meet with me before the Thanksgiving break. This is November of 2015. And… So remember saying I had to go to lunch. And driving over to this meeting, and just feeling, like, how almost I feel now. Like, I just have the goose bumps. Like, either he’s gonna be, like, you have it, or it’s gonna be, like, look, nice try kid. I had imagined this moment for so long, and I thought that I would be, like, so ecstatic, and I’d be jumping up and down. And when it happened, I was so scared. I just was silent for a full minute. Like, I was just staring at the floor, like, oh my god! I was treading water for so long, I never thought I would get to the end of the pond. It was a long four months after she learned she got the part before she started filming. She also had to keep it quiet… from everyone! When I finally got to set and I got to London, I mean, after four months of not being able to tell anyone… And just lying for so long to my parents and my family, I had to tell them I was living in Canada. I was working on this small movie that no one had ever heard of. And finally when we were there, and we were just on set, it felt like home. Like, it felt like I was in someone’s back yard making a small movie with my friends, which says a lot more about everyone else involved than about me. Like, everyone was so welcoming, and open. I don’t know that as an actor you could have a more fulfilling experience than that. Just the ability to collaborate, and really work with people. Kelly wasn’t a big Star Wars fan. In fact, she hadn’t seen any of the films before she started filming. She credits this in helping her land the role of Rose Tico. My parents are both Vietnamese refugees. They aren’t from this world at all. They don’t work in entertainment. This is a very, like, weird thing that I think I am having trouble understanding. But they’re having a real hard time understanding. So growing up I didn’t watch Star Wars. I was aware of it. I never really saw it. And I think that that gave me this kind of wonderful freedom. When I was auditioning for this movie I never thought to myself, oh, what- – How can I make this more like something I had seen? How can I make this more like the characters that are so iconic to all these people? I had this… gift of being able to look at that paper, and just be what I thought was honest. And what I thought Rian had written onto that paper. The character of Rose has done so much for diversity in film and changing our perspective of Star Wars. 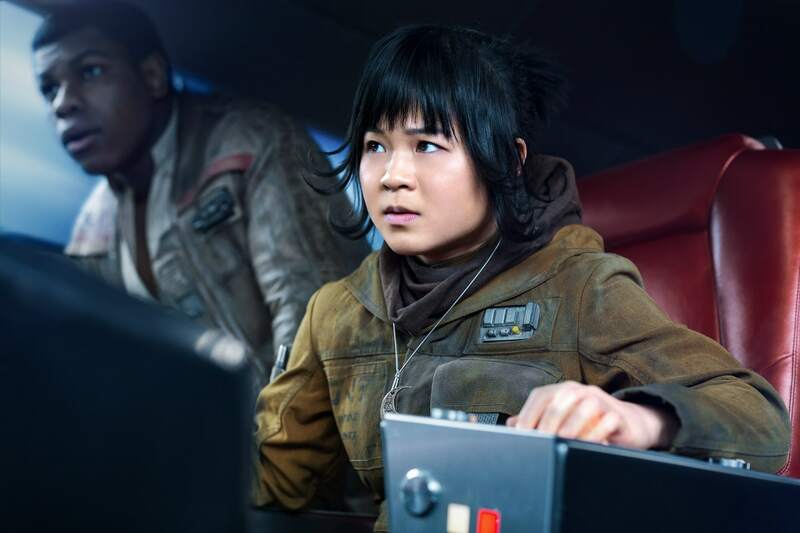 We asked about what she hopes that Rose’s character accomplishes once we actually see her in action, for herself and for future Star Wars generations, who now have a strong female Asian role model to look up to. I thought about that a lot. And it feels like such an honor, but also a lot of pressure. I mean, I knew what it was like to grow up in a world where I never saw myself in anything. I would like to hope that in some way this character is such an example of someone who doesn’t necessarily belong in this world. She works in maintenance. She works behind pipes all day. She’s not a star pilot. She doesn’t have magical powers. She’s not a princess. She’s someone who is just an every woman, essentially. These people that… You don’t necessarily see in these stories, but that are so crucial to… the idea of the resistance. Without these people that are fixing the ships, like, Po couldn’t go fight the First Order! So of course they’re important. But no one ever really sees them, or talks about them. They’re always just running around in the background. If this character could mean anything, I really hope that she portrays the idea that even if you are someone who’s kind of in the background who’s not in the spotlight, who’s not a princess, you can still make a difference, you can still rise up to any challenge that comes to you. Kelly was extremely easy to talk with. I love the freshness she brought to the interview. You could tell that she was grateful to be in the position that she is currently in. She understands some of what will happen to her after the film is seen by billions of people. I loved what she did when she finished filming her parts of the film. I never thought that I would be in a position where I would be in a movie like this, and then possibly have a choice in terms of what projects I did next. I never knew that I would have a voice. And so when I finished that movie, I ran away. For seven months I went to travel by myself. I went to have this kind of, like, Eat Pray Love moment. I think I really wanted to center myself, and really think about why I got into this in the first place. There’s so much noise now. There’s so much of… like, look at me! Look at me! I didn’t want to be part of that noise if that’s possible. I just remember thinking how scared I was. I wasn’t on social media for a very long time. And it’s because I was scared of being seen. And being honest in that way. I think we talked about this before in the press conference, but I think that Carrie was such a great example of that, of just being seen always openly, honestly… unapologetically. And not being ashamed of who she was, I think that I want to try as much as I can to be that way. I think that we live in a world where we tend to hide a lot of our flaws, and we try to put on makeup, and dresses, and all these things. If we all just were okay, and open, with all of our insecurities, ’cause we all have them, and we’re all not perfect, then maybe the world will be better. It’s really changed the way I look at the world. I really want people to know that if your parents are not in this world, if you have no connection to it, if it seems impossible, if you’re working, like, four jobs to support it, you can’t pay off your student loan bill, if you’re worried about all that stuff and you still want to do this, and if you keep going, and you put your head down, you just ignore the parties, and ignore all the people that don’t believe in you, I just think it’s possible, and I always have. And she also mentioned that this role has made it hard for her to date anymore! Kelly Marie Tran is my final interview from the global press event. If you missed any of our interviews be sure to catch up with Laura Dern (“Vice Admiral, Amilyn Holdo”), Gwendoline Christie (“Captain Phasma”), Domhnall Gleeson (“General Hux”) and the Entire Cast of The Last Jedi including director Rian Johnson. Also be sure to check out my time at the Star Wars: The Last Jedi global press event.